Dr. Judith Sweet, one of the first women to serve on the United States Sports Academy’s Board of Trustees, was recently selected as one of six “Champions” by the Street & Smith’s SportsBusiness Journal. The magazine’s “The Champions: Pioneers and Innovators in Sports Business,” is an award that recognizes leaders who have devoted their careers to building and shaping the sports industry. Sweet is currently the co-director of the Alliance of Women Coaches, which began in May to increase the diversity and number of women in the profession of coaching. In 1975, she became one of the very first women in the nation selected to head a combined women’s and men’s intercollegiate athletic program when she led the University of California, San Diego. 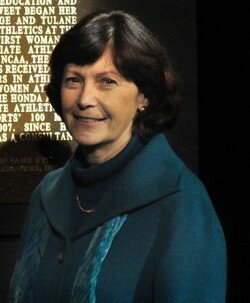 She spent 24 years as the athletic director at San Diego. Plus, Sweet was once the NCAA’s primary contact for Title IX and Gender Equity Initiatives. Sweet, who was inducted into the University of Wisconsin Athletics Hall of Fame in September, joined the Academy’s Board of Trustees in 1984 and served twice. She also holds a doctorate from the university. A leader in women’s intercollegiate athletics, Sweet also became the first woman to be elected as the NCAA secretary-treasurer in 1989 and the membership president in 1991. She served on more than 20 NCAA committees and she retired in 2006 as the NCAA senior vice president for championships and education services. She has also won numerous awards throughout her career in sports. Others named to the magazine’s 2012 “The Champions” list are: Steve Sabol, one of the founders of NFL Films; Bill Battle, a visionary in sports licensing; Humpy Wheeler, one of the most successful promoters in racing; Ed Snider, a leading sports entrepreneur in Philadelphia; and Don Ohlmeyer, one of the most influential forces in sports television the past 40 years at ABC Sports and ESPN.